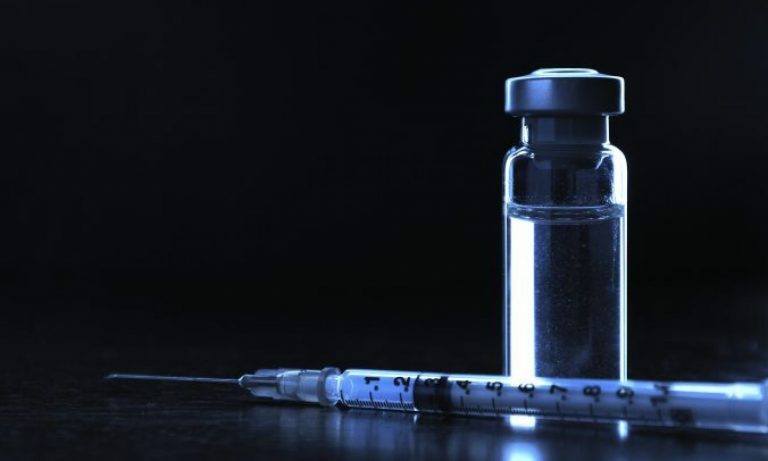 Over this past weekend, Professor Dorit Rubinstein Reiss, a frequent contributor to this website, posted an impassioned pro-vaccine commentary regarding the measles outbreaks in Rockland County, NY and New York City. She posted her rant (that’s what she calls it, but it’s more of social commentary) on her Facebook page, and it was shared widely. Of course, within a few hours of her post, the anti-vaccine terrorists went on full attack mode doing everything from calling her childish names to verifiable threats of violence. The anti-vaxxers are a horrible religion, getting angry and using violent hate speech whenever they aren’t coddled by the pseudoscientific liars like Del Bigtree. Unless you’ve been living under that metaphorical rock, you probably know that officials in New York City have ordered mandatory measles vaccinations to stem a large outbreak of the dangerous disease. Within nanoseconds of that announcement, the anti-vaccine hate brigade began with their usual list of crackpot misinformation and pseudoscience. Given how much the anti-vaccine religion abuses social media to push their lies and deception, this article will refute some of the most egregious false claims. Of course, most anti-vaxxers won’t read this, but let’s hope that someone reading the false narratives about New York City’s mandatory measles vaccinations will come here to find evidence-based facts. Before I begin, the order from the New York City Department of Health and Mental Hygiene was mostly in response to an outbreak among ultra-Orthodox Jews in the borough of Brooklyn. It is probably the largest vaccination order in the United States since the 1980s. As of 9 April 2019, approximately 285 people have contracted the disease in New York City since September, mostly in Brooklyn’s Williamsburg neighborhood, which has a large number of ultra-Orthodox Jews. New York City public health officials said that of the 285 individuals, 246 were children. Furthermore, 21 of those children have been hospitalized, five in an intensive care unit. Yes, measles is dangerous, and children will be hospitalized. Since the anti-vaccine world lacks any evidence to support their tropes, they’ve decided to go with anti-vaccine Holocaust denial as their new operating strategy. But they just don’t understand what they’re doing again. Recently, as more measles outbreaks occur across the world, there is consternation in governments, schools, and public health organizations about the dropping measles vaccination rates in some areas. As a result, states like California are trying to clamp down on medical exemption abuse, and other jurisdictions, like Rockland County, NY, have banned unvaccinated children from public spaces. I’m a big fan of the CBS TV show Madam Secretary, which is a drama about a fictional Secretary of State, played by Téa Leoni. The most recent episode, “The Common Defense,” centered on several stories surrounding a measles outbreak in several countries – measles played the show’s villain (instead of Russian oligarchs, terrorists, and incompetent Congressman and Senators). Despite the lies of the anti-vaccine religion, a huge recent Danish study has, once again, debunked any link between the MMR vaccine and autism. This is like the 140th peer-reviewed study that says the same thing – vaccines do not cause autism. This study is particularly robust and conclusive, and it adds to the settled science that the MMR vaccine and autism are unrelated. And it is further evidence that the fraud perpetrated by Mr. Andrew Wakefield did nothing more than cause children to be put at risk of measles. Darla Shine, a former Fox News producer, and wife of the White House deputy chief of staff of communications, of course, posted a dangerous and ignorant tweet that implied that measles prevents cancer. Shinee is repeating a thoroughly debunked anti-vaccine religious trope, but what do you expect from a Trump sycophant? The truth? Especially since Trump has a history of anti-vaccine rhetoric. Despite the claims of the anti-vaccine religion about the risks, serious measles complications should an important consideration for any parent on the fence about giving their child the MMR vaccine. This isn’t some exaggeration to compel people to get vaccines – it’s a demonstrable fact. Unless you’ve completely ignored the news, you can’t help reading about large measles outbreaks across the world – Europe, Oregon, many areas of the USA, and elsewhere. Though the outbreaks aren’t large, thanks to a high vaccination rate in the USA against the measles by responsible and informed parents, there are a number of cities and counties in the country that have vaccination uptake that is too low for the herd effect.